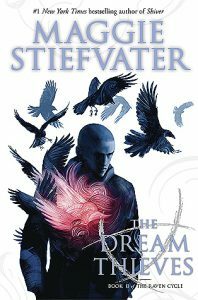 Summary from Goodreads: If you could steal things from dreams, what would you take? Ronan is one of the raven boys – a group of friends, practically brothers, searching for a dead king named Glendower, who they think is hidden somewhere in the hills by their elite private school, Aglionby Academy. The path to Glendower has long lived as an undercurrent beneath town. But now, like Ronan’s secrets, it is beginning to rise to the surface – changing everything in its wake. In that moment, Blue was a little in love with all of them. Their magic. Their quest. Their awfulness and strangeness. I don’t know what to say other than that this book was so perfectly amazing and emotionally devastating, and we’re only halfway through the series. The Dream Thieves was even better than the first book, times a thousand. I would give this book a million stars if it was possible. This book starts out with Ronan, who we learn can pull things out of his dreams.I believe this was hinted at in the first book then revealed at the very end. Correct me if I’m wrong. Other than that, this book picks off with how the first ended. Gansey is still aggressively searching for Glendower with his friends accompanying him, the very broken but loyal Ronan, the quiet yet lovable Noah, the prideful and stubborn Adam, and our sarcastic and eccentric Blue. The five of them all have their own hardships and troubles but are working towards the same goal: fix the ley lines and find Glendower. I’m going to start off with Ronan first because this book was all him. Okay, not actually, but this book was very centered around him and the fact that he can pull things from his dreams. Ronan is as broken as ever after his father’s death years before, especially now that he’s revealed his secret of pulling things out of his dreams. Put all this aside though and you have a very loyal and compassionate Ronan. He may seem rude and annoyed 99% of the time, but underneath that you can tell just how much he cares for his friends and will do anything for him. I just love how broken yet loyal he is, especially to those he loves. Then we have our stubborn, sarcastic, and eccentric Blue. Most people will say Ronan is their favorite, but to be honest, Blue (and Noah) is mine. Her character has come so far just over the course of the past two books. She loves the boys so much for all their quirks and weaknesses. Blue is very determined and hardworking and will always stand up for what she believes in no matter what. If someone makes some kind of sexist remark or something based on the fact that she’s not as wealthy as some of the boys, Blue is always there to defend herself to the death. I love Blue so much. Her loyalty and love for the boys is wonderful. She may find them irritating and annoying, but will defend all of them to the death. He was too busy being ghostly to attend to her, however. Currently, he was engaged in one of his creepiest activities: reenacting his own death. Noah is another one of my favorites and to be honest, he doesn’t get nearly enough page time. He’s very quiet and mostly stays in the background, due to him actually being a ghost of course. Those little moments when his personality really shined through as if he was still living were my favorite. He’s so sweet and lovable in contrast to everyone else, despite the fact he’s dead. Noah is probably my favorite character and I really wish he had more page time. I’m still kind of confused on the whole fading in and out thing though. Also, I love his friendship with Blue. That one scene at Monmouth was so adorable yet hilarious at the same time. Next is the very determined Gansey. He is closer than ever to Glendower and the ley lines, making him only work harder even with all the little things getting in the way. Gansey is very loyal to his friends as well, but in a different way than the other boys are. He has many sides to him, the side he shows around his family and friends is kept hidden to those who don’t know him. Gansey is very guarded. He will also do anything to help his friends out, even when it may upset them. He doesn’t try to hurt anyone intentionally, but sometimes does without realizing how his words and actions can come across. Lastly, is Adam. He’s no less prideful than he was in the last book, that’s for sure. I’m just going to say it: Adam is my least favorite out of our five main characters. That doesn’t mean I don’t like him, just not as much as the others. His pride and stubbornness can sometimes be very annoying and hard to read about, but I still really like his character. Maggie Stiefvater creates very real and well developed characters that, sure, can be annoying, but it just makes them more realistic and flawed. Adam is an example of that. But he’s been through so much and has had so little, so I can definitely understand why he wants to do everything on his own and is very stubborn about those things. I loved the side characters, too. Maura, Calla, Persephone, Matthew, all of them… for the most part. I did not like the Gray Man or Kavinsky, but you know, those two aren’t really meant to be well liked. Like I said, Maggie Stiefvater’s characterization is amazing. 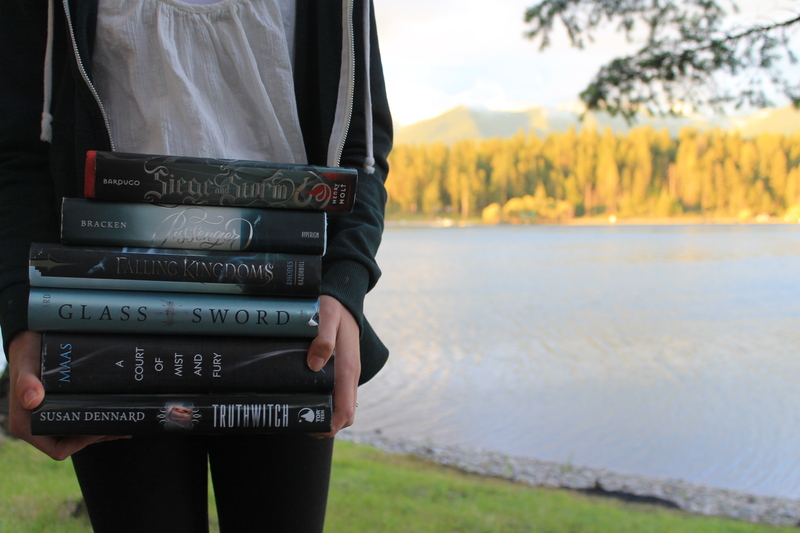 I believe that to probably be the strongest point in these books: the characters and how much they develop. All of them are flawed and two-dimensional. It’s as if they’re real people. There’s more romance in this book than in The Raven Boys, though it still isn’t the main focus of the plot. I mean yes, this whole series kind of revolves around how Blue is going to kiss her true love and he’ll die, but the romance is mainly on the side. Blue and Adam are still kinda dating, though Blue also begins to develop feelings for Gansey. I just wanted to scream at her how risky this is, well, because of the whole St. Mark’s Eve thing and how she is most likely Gansey’s true love. The plot is fairly similar, but it just continues to blow my mind. How does Steifvater even come up with these things? The uniqueness and creativity of this series to me is amazing. I don’t know about you, but I’ve never read anything slightly similar. It has a lot of Welsh and medieval influences , but it also doesn’t. The whole ley line thing still continues to intrigue and interest me. I can’t wait to see where all of this goes in the next two books. I’m anxiously awaiting to get my hands on Blue Lily, Lily Blue. And then there is the third kind of secret, the most hidden kind. A secret no one knows about. Perhaps it was known once, but was taken to the grave. Or maybe it is a useless mystery, arcane and lonely, unfound because no one ever looked for it. I also love the writing in this book. In my review of The Raven Boys I mentioned how much I loved the writing, but it only got better and more dazzling in this book. Maggie Stiefvater creates such rich and detailed descriptions and her characters are so lifelike it’s unbelievable. The amount of detail used isn’t redundant like it seems to be in so many books, it’s just right. Her writing is about as close to perfect as can be, at least in my mind. For the first time in forever (Frozen, anybody? ), I don’t have any complaints or issues with this book, at least nothing that got in the way of my reading experience. This book was amazing in every way possible. I cannot wait until I can continue with this series!